Those of you who read my blog often will probably be aware by now that I am a huge fan of One Direction and their music. 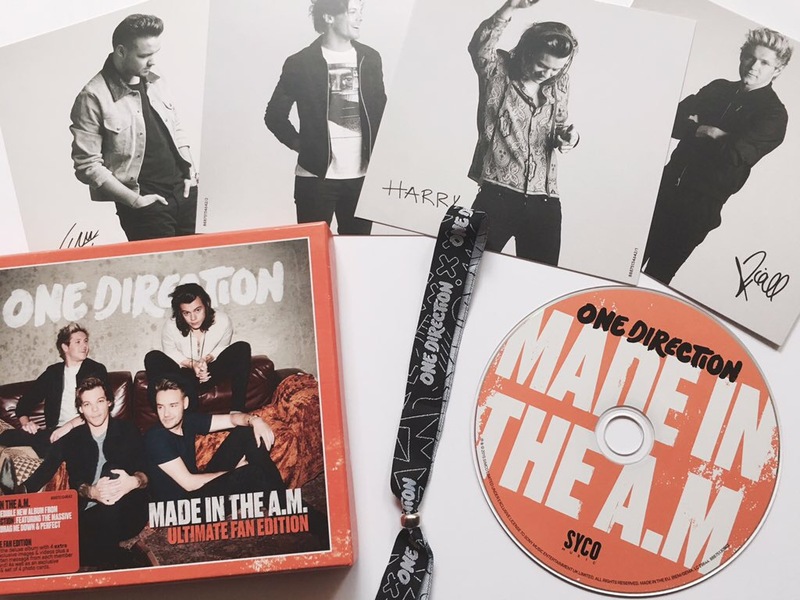 So, it will come as no surprise to you that when their new album, Made In The AM, was released, I bought the Ultimate Fan Edition. 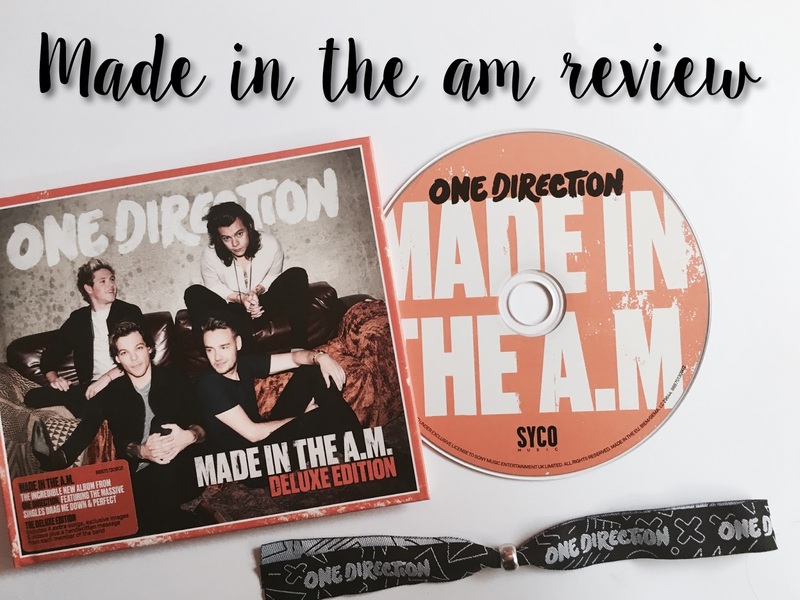 It comes with an exclusive wristband and 4 lovely photocards, as well as the deluxe edition of the album that I will be sharing my thoughts of in this review. The powerful Hey Angel is the perfect start to the album. It has been described by Harry as "this album's Clouds" (one of my favourites on their previous album) and I have to agree. Hey Angel is followed by smash-hit singles Drag Me Down and Perfect. 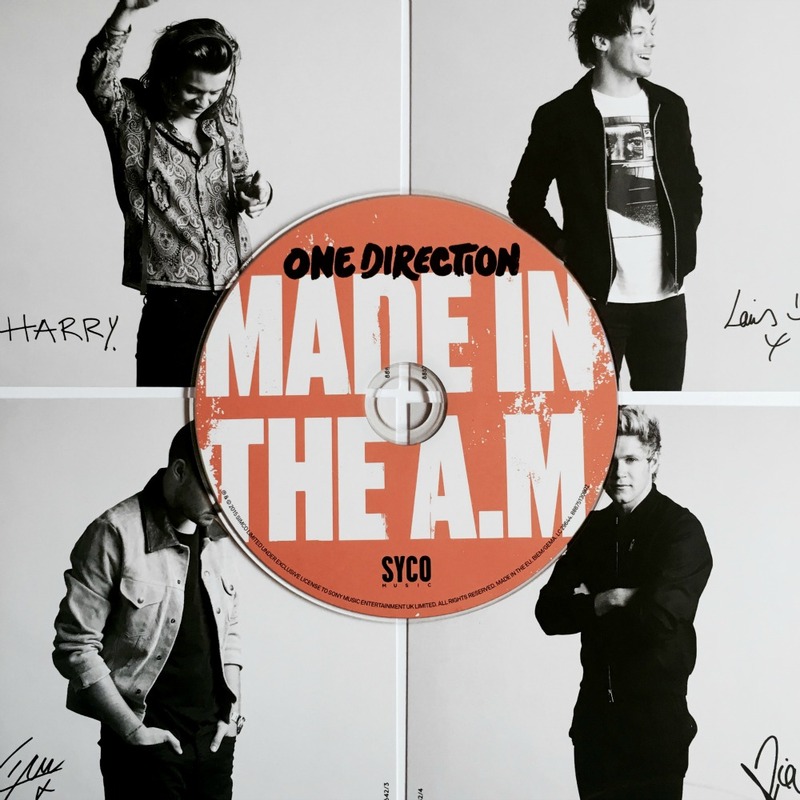 Infinity, the fourth track on the album, is a song the boys themselves are especially proud of. It is an incredible song with beautiful lyrics such as "How many nights does it take to count the stars? That's the time it would take to fix my heart". If I Could Fly is a slow song, sang to a piano accompaniment. I love the lyrics and I think it is a really stunning song - probably the the song I'm most likely to start crying at if they sang it live. Never Enough has definitely grown on me since I first heard it - I wasn't overly keen on it at first, but not it might actually be one of my favourites, so catchy! It's also Niall's favourite because of how different it is to anything they have ever done before. I was very impressed by Olivia at first listen. 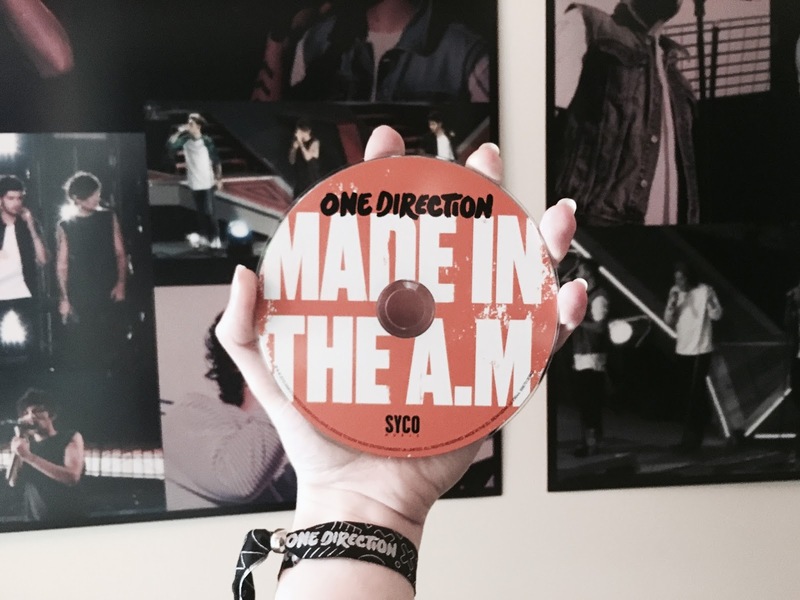 This is possibly because Harry's vocals sound amazing in it - although don't they always? I think the bridge of this song after the little instrumental might be one of my favourite parts of a One Direction song ever and that says a lot. Love You Goodbye is a lovely, emotional song which Louis described as being very personal to him. 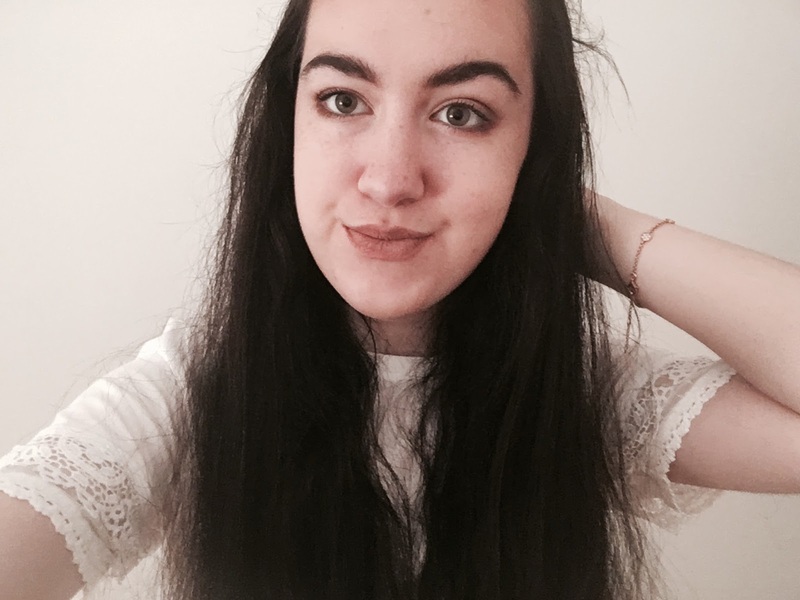 I Want To Write You A Song has really cute lyrics and sounds very acoustic, another of my favourites. I feel History is a message from the boys to us, the fans. "We could be the greatest team that the world has ever seen" reminds me of being a team with the boys because we got them to where they are today. I love History because it shows they will still be here for us through their break and we will still be there for them. The deluxe edition of the album also features some great extra tracks - such as fast and fun Temporary Fix, and the wonderful Walking In The Wind, two songs that I would class as two of my personal favourites of the whole album.